Sippets are pieces of bread toasted and are used to sop up liquids or as a garnish. 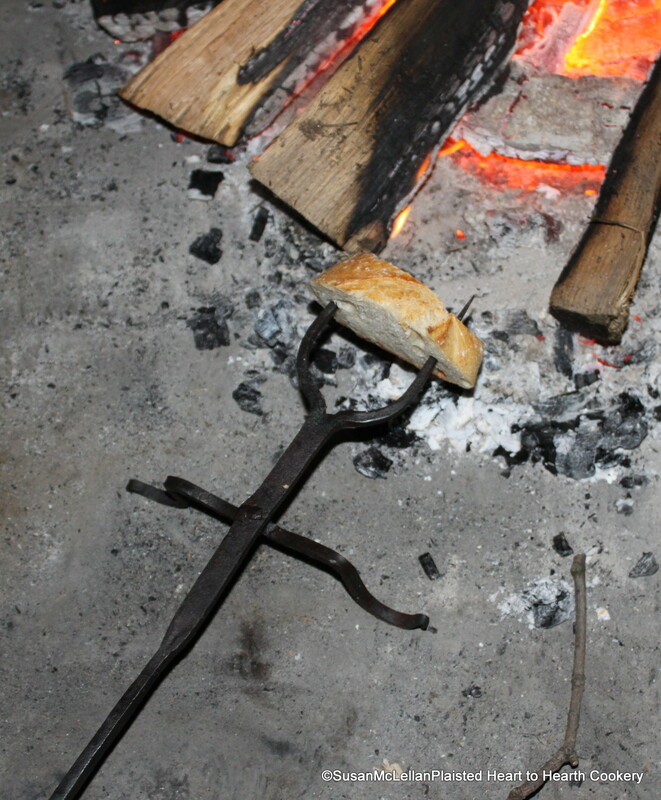 The toasting fork is being used to prepare sippets. Note that the wood is separated so that the heat from the glowing embers gives an even toasting.